GENDER SURPRISE FOR GIRLS GOES VIRAL! 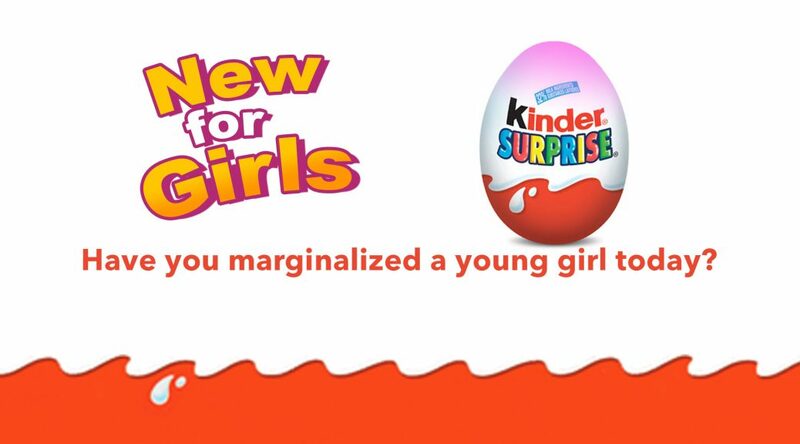 In 2013, Ferrero released a commercial announcing a new version of its popular Kinder Surprise toys… just for girls. It was every kind of brutally sexist. This is how it looked to me.